2. For long cable distances, use an RS485 isolated repeater. Any professional program like WinWdege, WonderWare and Labview can be used with the hyper-terminal for further processing. 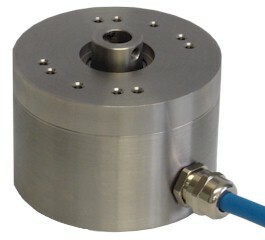 Slide encoder onto shaft. Use torque arm to prevent rotation. Hook up the encoder with the connections as described. Make sure power supply meets specifications.